The Board of Trustees are pleased to announce fees for the 2018-2019 Soccer Year. This new structure is in response to several external influences including tournaments and an increase in recreational player numbers. The updated fees are reflective of these influences thus we have chosen to adopt more of a team based model for tournament selection. 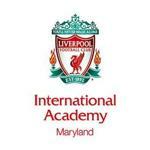 Moving forward, and under the guidance of Director of Coaching Alan Lydiate, all LFCIA Western Maryland Academy teams (U11-U19) will have more control over tournament selection and scheduling based on the team's needs. This new structure allows team parents and coaches to craft a significant portion of their team's expenses and tournament schedule over the course of the soccer year. As well, each team is encouraged to hold fundraisers or seek outside donations; the proceeds of which can be used to help offset player uniform costs, tournament fees, team socials, or any other expenses related to a team's unique needs. It is also important to note that a substantial increase in our recreational player numbers at the youngest ages has granted us more control over traditional club costs. Families who have pre-paid for the 2018-2019 Soccer Year will receive an email from Chris Baer, the club's Finance Director, regarding either a credit or a refund of any fee differential. Finally, we have been working hard with Liverpool FCIA America to drive down player uniform costs and are pleased to announce the cost of the 2019-2020 full kit purchase will be reduced by close to 20%. We are also in negotiations to reduce the amount (and thus cost) of our Pre-Academy (U8-U10) player kits and will be sure to update those families as needed. Wishing everyone a great summer 2018!